Mirella starts off with a brief discussion of the Canadian craft beer scene which has been rapidly expanding and seen growth similar to the US. The topic for today is judging beer as well as the BJCP beer judge certification program. Mirella explains first what a “National level” beer judge is and how a combination of knowledge and experience differentiates beer judge levels. We discuss why it is important for a brewer to be able to judge beer and find flaws as well as ways to improve beer. Mirella provides us with an insiders view of what a typical beer competition looks like from the judging perspective. 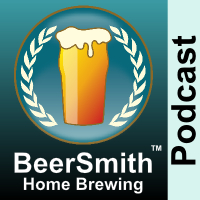 We discuss how beer panels work and how each beer is judged against comparable beers in the same style/category. Mirella explains how you submit your beer to a competition as well as providing a few tips including the critical issue of selecting the right category to compete in. We talk about how the winner of a competition is determined as well as how judges determine the best of show. She discusses the BJCP style guide and how judges often will review the actual style guide when comparing beers. You can find the style guide and sample scoring sheets on the BJCP web site at BJCP.org. Mirella explains how an average homebrewer can gain experience in developing both the palate and vocabulary needed to identify and judge flavors including off flavors in beer. Thanks to Robert Keifer for appearing on the show and also to you for listening! Why and I mean WHY doesn’t this lady have her own show!!! No mention of how to manage beer temperature for competitions.